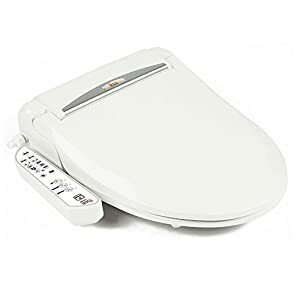 Feel Fresh Round Bidet Toilet Seat HI-5000-WT with Heated Seat – White | Steam Shower - Bathroom Showers- Infrared Sauna - from SteamShowerDealer.com | SteamShowerDealer is your #1 source to buy designer and comfortable steam showers, steam spas and Infrared Saunas and accessories at discounted prices. MODEL: White, Round. Easily replaces such a lot usual rest room seats. 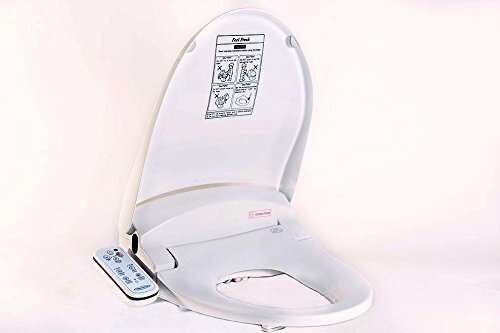 0-15 minutes, replacing rest room seat, connecting a new hoses to the tank and bidet tank (hoses & T-piece included). 120V AC required. The heated bidet rest room seat comes completely assembled. Twin nozzles for women and men. Adjustable water pressures. Five predetermined settings controlled by arrow up or down. Adjustable water temperature. Hydraulic seat & lid for quiet closing. Relaxed heated seat. Wireless remote controller may well be mounted at the side or at the wall. 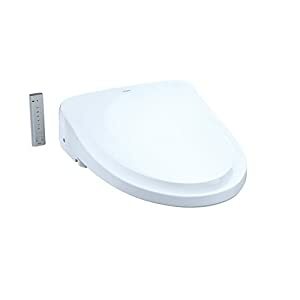 Seat sensor, to turn on the wash & bidet seat functions: Won’t serve as without seating on seat. A blue LED night light in your convenience. Light is adjustable with ON/OFF or 8 hour cycle. All plastic is made the use of ABS flame and germ resistance subject material. Self-cleaning system. Simple-to-use push button keep watch over panel. In-built memory for all prior settings. Energy saving thermostat keep watch over. Designed & approved to satisfy UL Medical Device Standards for water closed seats. Warranty: One year limited. 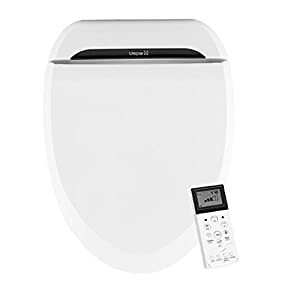 PRODUCT SPECIFICATIONS: Power Supply: AC 120V, 60Hz Power Consumption: 550W Heated Seat: Water Supply Pressure: Right away from water pipes, 10psi – 100 psi. This appliance can operate below 10 psi, however the user adjustable shower force can be affected. Safety Devices: Ground fault detection circuit breaker, seat switch Dimensions: W19.5″ x D18.6″ x H6.05″ (527.0mm x 476.3mm x 209.6mm) Weight: 11.5 lbs. ACCESSORIES INCLUDED: T-shaped connector, Connection hose, Semi-sphere packing, Bolt, Nut, Sliding plate, Remote keep watch over, User’s manual, Usage instruction sticker, Installation manual in English NOTE: Will Are compatible 1 & 2 Piece Rounded Toilets: Find out how to decide if the bathroom is rounded: Make certain that size A is between 16.5″-17.5″, where “A” is length between the holes line and the front out of doors fringe of the bathroom. NOTE: Nonreturnable, hygienic product. Slow Close Lid and Seat provides a quiet close each and every time. Women love this option.